My London welcome tour was not in London, and neither was my goodbye tour. I visited Warwick Castle, Stratford-upon-Avon, and Oxford with Golden Tours a few days before departing England. After my lackluster experience with another tour company, I was more than ready to tour with Golden Tours again. But this day tour was destined for mediocrity for three reasons. As I revealed here, London and I were more like distant cousins rather than friends. We get along well at family reunions, but we don’t actively keep in touch after. 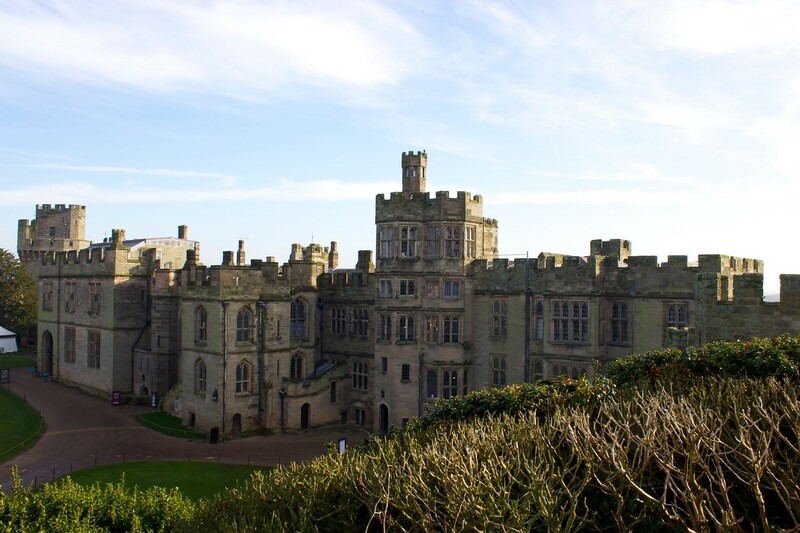 England is in no way a terrible destination; I generally enjoyed my time there! For future British travels, though, I will need a good reason to return. My time in London was coming to a close and, frankly, I was tired. By trying to see and do everything there is to see and do in London, I ran myself ragged. I craved a home and consistent friendships. I booked this trip for Oxford without researching Oxford. While scrolling through Pinterest to plan my time in London, Oxford was a highly recommended day trip. I booked the tour without deciding if Oxford was a sight I actually wanted to see, or just another place people told me to go. Taking a moment before hitting purchase would’ve been beneficial. Apparently spontaneity is not always best. Nonetheless, the amazing tour guides at Golden Tours made sure the tour wasn’t a total bust. Lazlo, our tour guide, guided me through the fog in my head and out my bus window. Our day began at Warwick Castle. For 1.5 hours, I explored the medieval castle, which was suitably framed by the foggy and gray sky. This specific tour included more families with young children and teenagers in comparison to my two other day tours. 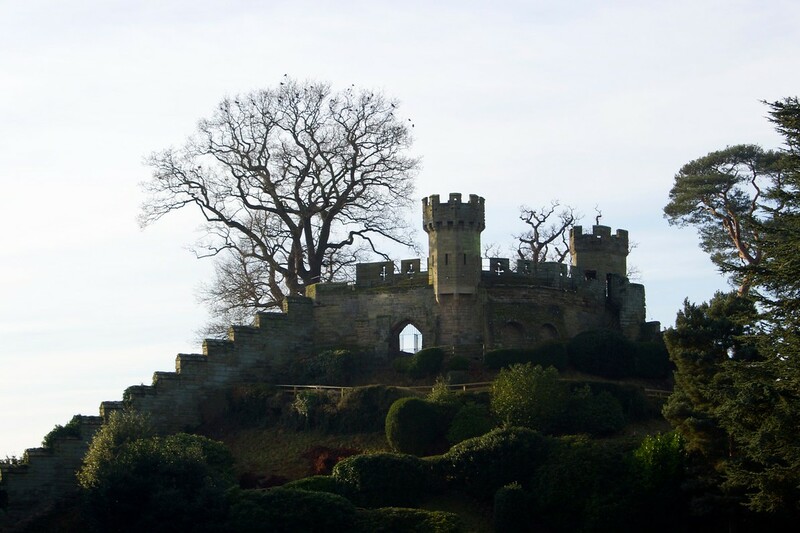 Certainly Warwick Castle is the reason why. It is family-centered, with several activities for younger children. Although our short amount of time and the winter season limited the possibilities at Warwick, it still proved to be a hit amongst the families. I overheard a few families planning to return and stay overnight at the Medieval Glamping or Knight’s Village Lodges available. For me? I could’ve skipped Warwick Castle. It was, in my opinion, more kid-centered (I consider myself a “young adult,” despite my parents objections ) rather than historical. 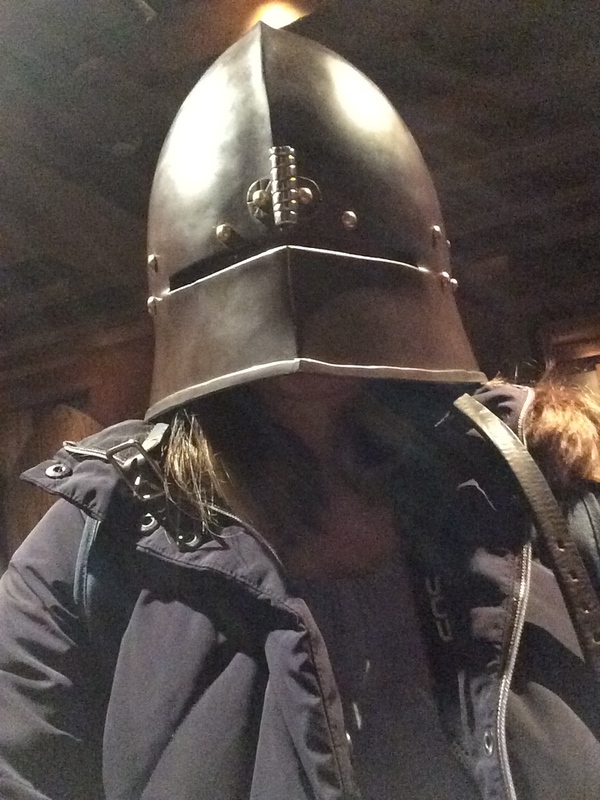 Trying on a knight’s helmet was pretty neat though. 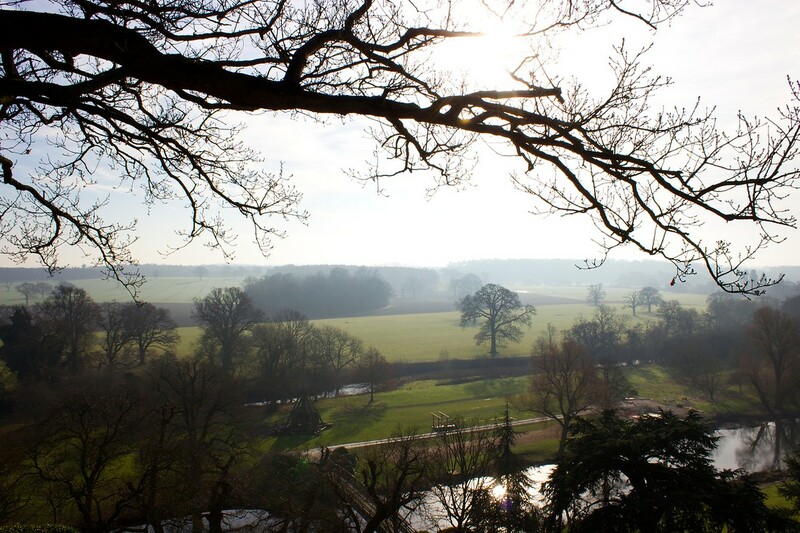 And views of the English countryside were magnificent. I never enjoyed reading Shakespeare in school. In fact, reading Hamlet ranks as one of my least favorite memories in high school. Whether I enjoyed his writings or not, Shakespeare continues to influence modern authors. It would be a dishonor to Shakespeare and myself to not explore his life while visiting his native land. Shakespeare’s Globe in London reignited my respect for the genius writer. Stratford-upon-Avon, my second Shakespearean experience, encouraged me to give his literature another chance. Our one hour in Stratford-upon-Avon was short, but the main attraction is Shakespeare’s birth place. 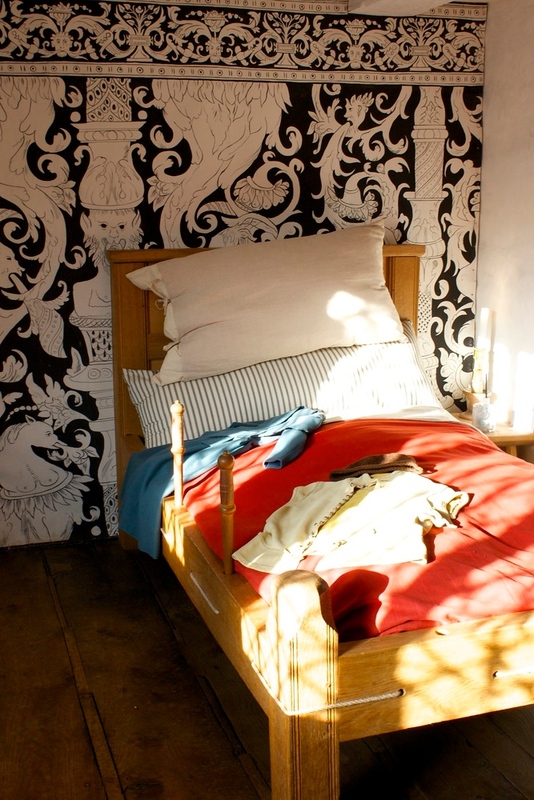 Not only does the house reveal Shakespeare’s childhood and lifestyle, but also curiosities of these now-ancient times. For example, do you know the reason for saying “sleep tight” to someone heading to bed? In Shakespeare’s time, the mattress was supported by ropes, which required retightening each night before use for maximum comfort. 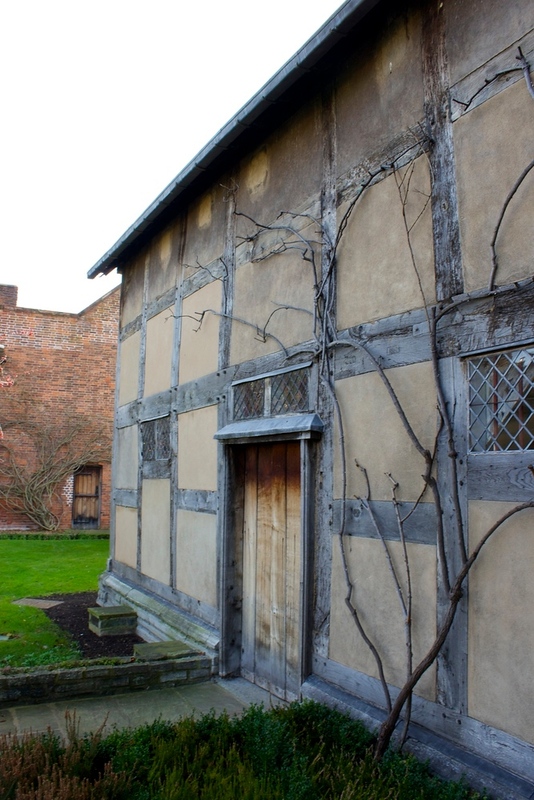 My favorite part of touring Shakespeare’s house was experiencing the museum’s partnership with local schools. During my visit, two students were paired in each room. They explained the room’s purpose and tidbits from Shakespeare’s life. Although it was at times difficult to understand the primary school students, I empathized with their fear of public speaking. The heavy responsibility of informing foreigners of Shakespeare’s life laid in their small hands and they did a wonderful job handling this weight. 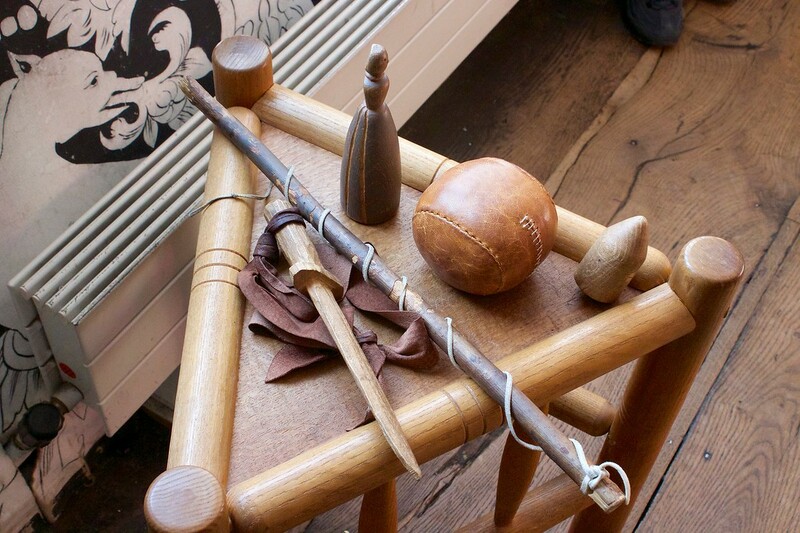 Perhaps they were even able to play with Shakespeare’s childhood toys as a reward for a job well done? Our last stop on the tour was Oxford. Lazlo led the group through the beautiful town on an approximately 45-minute tour. Blue skies blessed the group’s photographs, despite the chilly January weather. I had high expectations for this university town. Well, expectations are bound to disappoint. 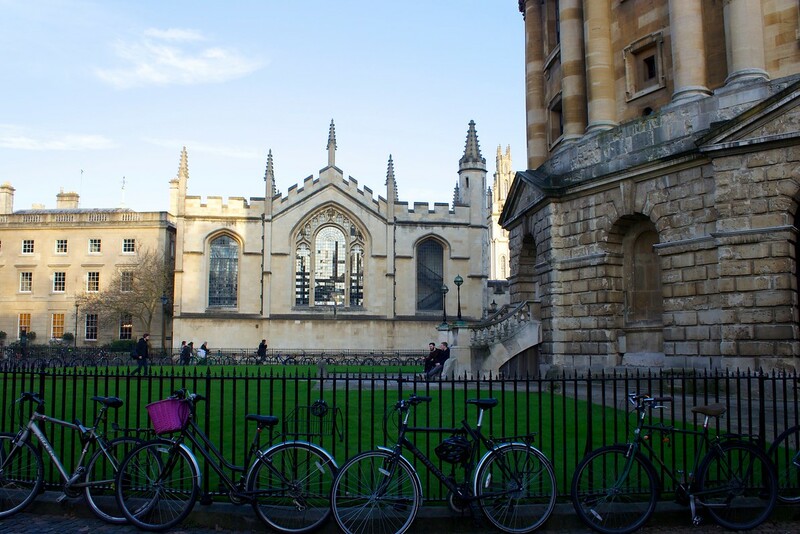 Don’t get me wrong — Oxford is a beautiful city with a highly prestigious university. However, the university is the city. Our 1.5 hours in Oxford was the perfect amount of time to see the main colleges, and then move on with my life. 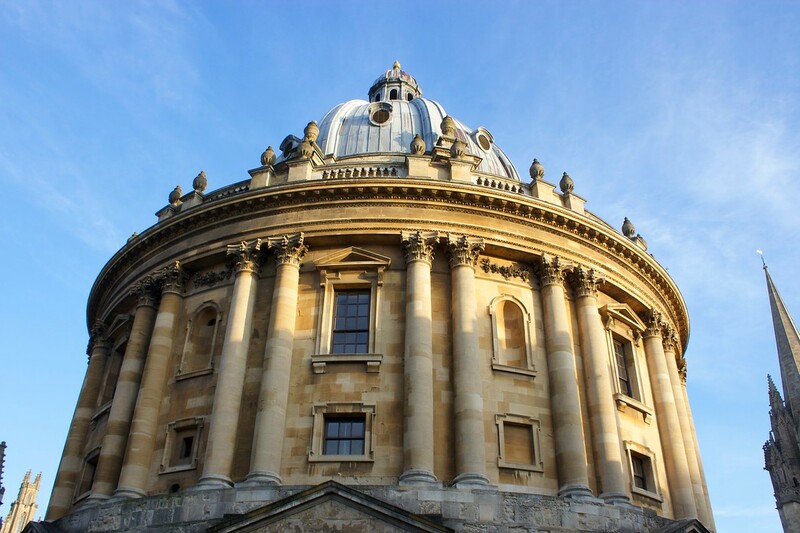 Unlike American universities, Oxford is the overarching name for several independent colleges. The colleges even have separate applications. 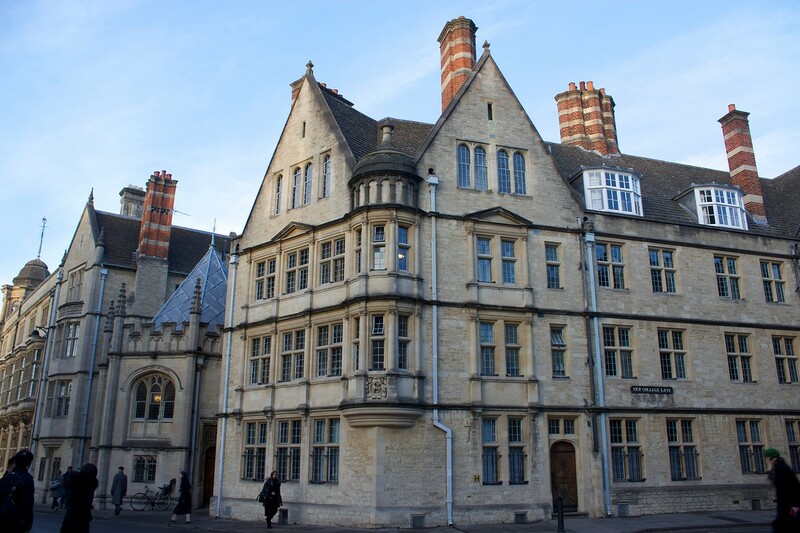 Oxford does not have a campus; rather, the university is spread across the city. You just might walk past a college with famous alumni and not even know it! Walking amongst the best in the world was overwhelming. Is the couple in the corner the next Kennedys? Is the student on the bicycle with the messenger bag tossed across his shoulder the next Noble prize winner? The simple town disappointed, but the atmosphere did not. I booked this day tour because strangers told me I would not regret it. They were right — I do not regret seeing more this historical country has to offer. However, my time and money could have been spent better elsewhere. Now I’ve seen it and now I know. Some day tours do not mesh with me, as do some countries. I would like to thank my tour company. Despite my incurable mood, Golden Tours continued to impress. They certainly ensured I enjoyed my time, no matter how lackluster the cities were for me. What makes or breaks a day tour for you? Let me hear your thoughts in the comments below!